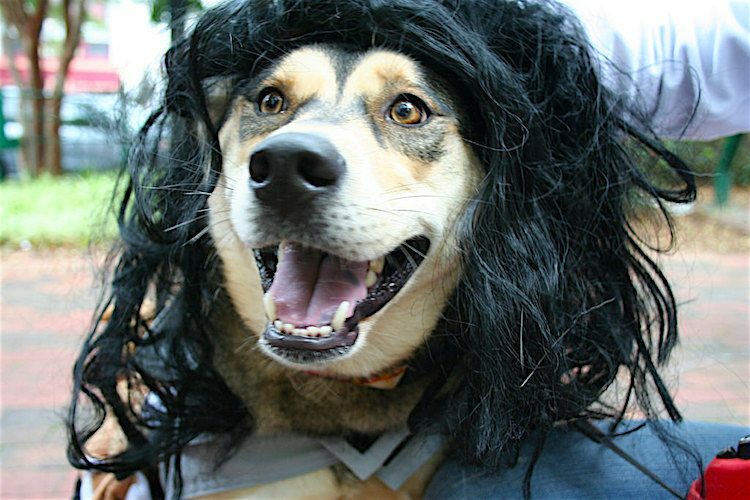 It’s hard to ignore all the pets in costume on social media. There’s no end to the crazy costumes for Halloween, Christmas — or any occasion, really. I’ve never really been one for dressing up animals. It worries me that it demeans the pets’ dignity. But this year, I gave in to the power of cute and bought a Santa hat for Pogs the Puggle. I bought it with more than 2 months to go because I want to train her to wear it and make sure she’s comfortable on the big day. Whether you make your own dog costumes or buy them ready-made, it’s important to remember that there’s a dog inside. The last thing anyone wants to do is have fun at the expense of their pet. Here are some important dog costume tips that everyone should follow. You may think your dog is the sweetest thing ever when dressed as a bumble bee, but a dog’s lowered head, flat ears and round eyes are actually signaling distress — not delight. Many facial expressions we find appealing in dogs are actually signs that they’re uncomfortable. If you spot these signs, then start again from scratch to make sure the dog is happy and willing to dress up. Now imagine forcing the dog inside those plastic bags (leaving a hole for the head, of course). 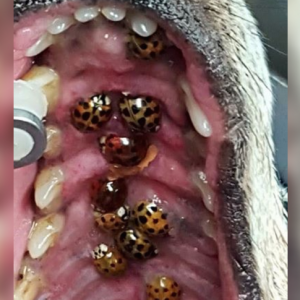 The unprepared dog will probably freak out. When you put a costume on a dog for the first time, it’s pretty much the same thing — forcing them to accept something that feels and smells strange covering their body. Well in advance of the big day, take the costume out of the wrapper and leave it somewhere that smells of you so it picks up a familiar scent. Leave the costume where your dog can approach and sniff of their own free will. Reward their boldness with praise and a treat. Lay the costume across their back (without fastening it on), praising and rewarding as you go. Over several days, build up their confidence and dress them up only when their tail is wagging and their eyes are bright. 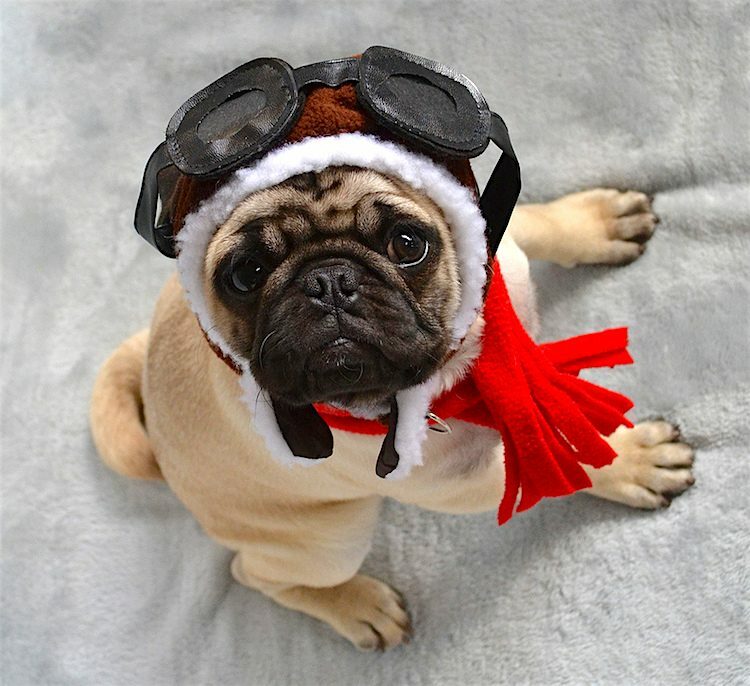 “If a pet isn’t comfortable in a costume, they may work vigorously to remove it, constantly scratching or pawing at it,” says Dr. Stacy Eckman, clinical assistant professor at the Texas A&M College of Veterinary Medicine & Biomedical Sciences. “It may affect the way they walk and move, becoming a tripping hazard, and can even affect their breathing, causing them to pant or become anxious,” Dr. Eckman cautions. Safety is important when it comes to dressing up your dog. Consider carefully what the costume is made from and how it fits the pet. The fit: Not too tight and not too loose. The dog should be able to sit, walk and toilet normally without the costume digging in or dragging. Free whiskers: The costume should not impair the dog’s senses and therefore should not cover the mouth, whiskers, eyes or ears. Free of scent: A dog’s sense of smell is more sensitive than ours, and your dog will find it distressing for the fur to be covered in something that smells strongly of chemicals or another odor. Not flammable: Use only nonflammable materials, especially with pumpkin lanterns and candles around. No chewable parts: Use Velcro to secure the costume, and avoid small parts — such as buttons — that could be chewed off and swallowed. Don’t force your dog outside their comfort zone. If in doubt, just snap a quick photo of them in the costume and then take it off. Do make sure they’re actively enjoying themselves. 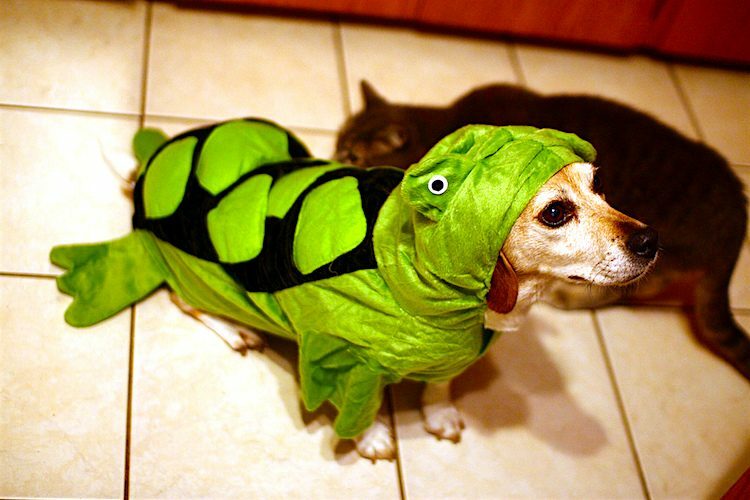 The dog should have fun rather than merely tolerate the costume. Don’t leave your dog in a costume unattended. Do make sure they can eat, drink, pant and toilet without fuss. 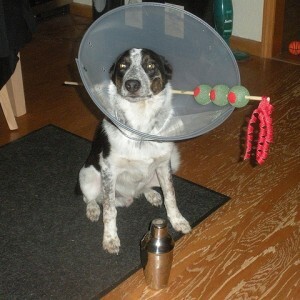 Don’t humiliate your dog (remember that dogs have dignity, too). Do limit how long they wear the costume. 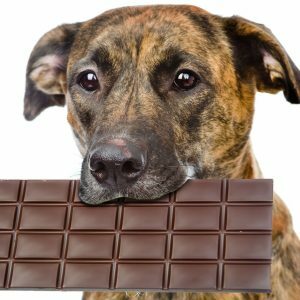 Don’t overwhelm your dog with attention, photos or trick-or-treating. Do check the costume regularly for parts that could be swallowed, and make sure it’s still comfortable. 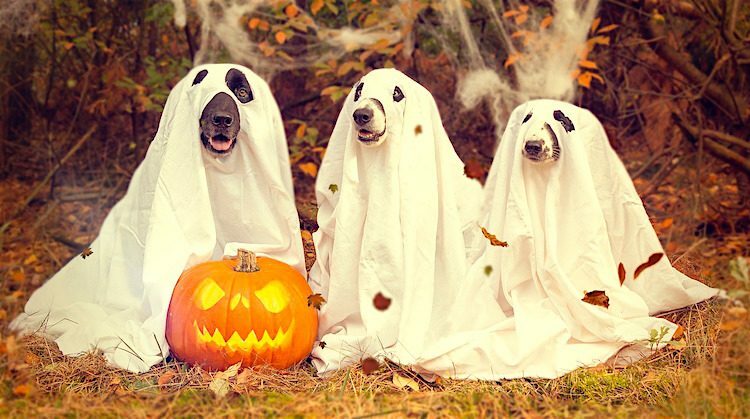 And finally, have a great Halloween with your dog! 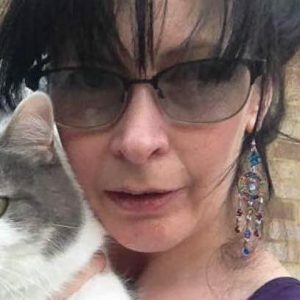 This pet health content was written by a veterinarian, Dr. Pippa Elliott, BVMS, MRCVS. It was last reviewed Oct. 30, 2018.